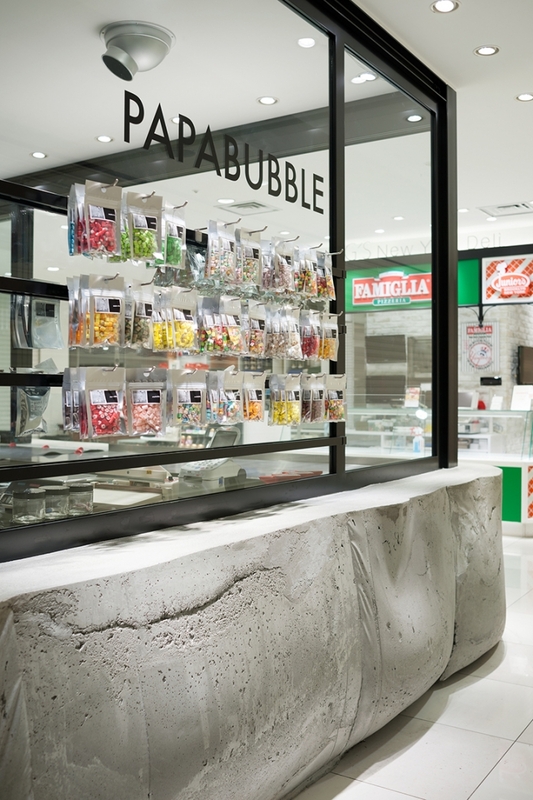 We designed a shop for Papabubble, a world-famous brand of artistic hand-made candies based in Barcelona. 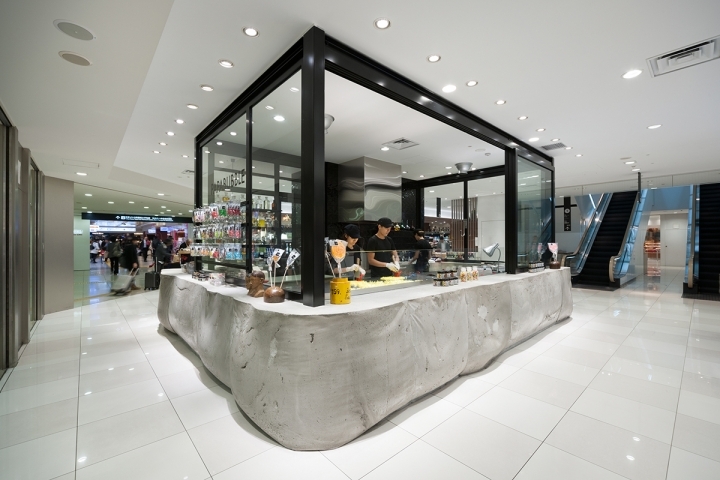 This is their first shop to be opened at major department stores in Japan. 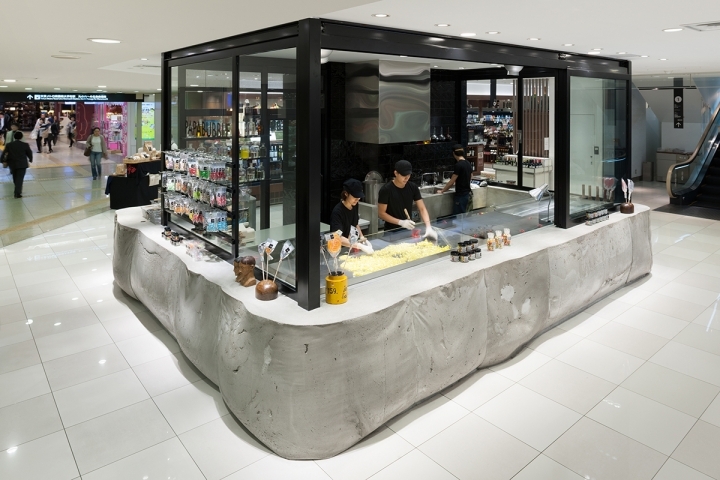 It is located on B1F at Tokyo Daimaru Department Store, next to Tokyo Station, and we wanted to take advantage of this great location to promote Papabubble’s exquisite artistry and design skills and show their excellence over other similar brands. Papabubble offers variety of delicious candies-but they not just enjoyable to taste, but also very delightful for the eyes. Their artistic patterns and colors are so impressive that we often wonder how they make such beautiful candies. So we decided to show customers the entire process of their candy making. 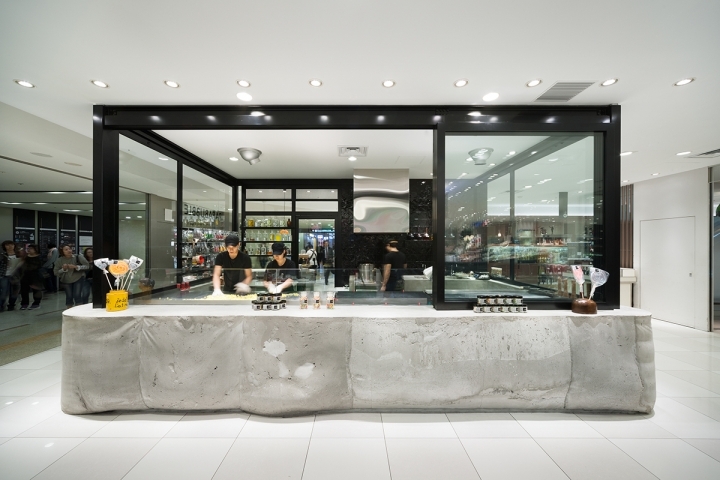 We designed a large counter where they do all works such as melting sugar, making patterns, cutting, wrapping and selling. 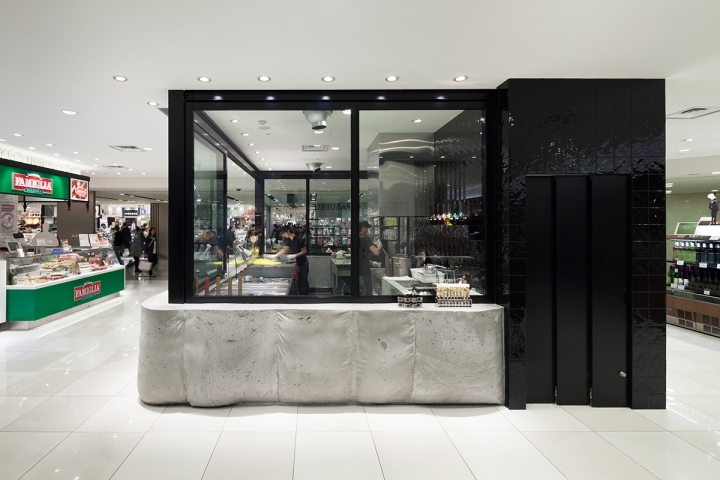 We enveloped backyard area including structural column and storage, and wrapped around the 900 mm high counter with glass so that customers can look over the entire shop. The counter is made of concrete. Concrete is not always heavy, cold and hard-edged like we usually imagine. 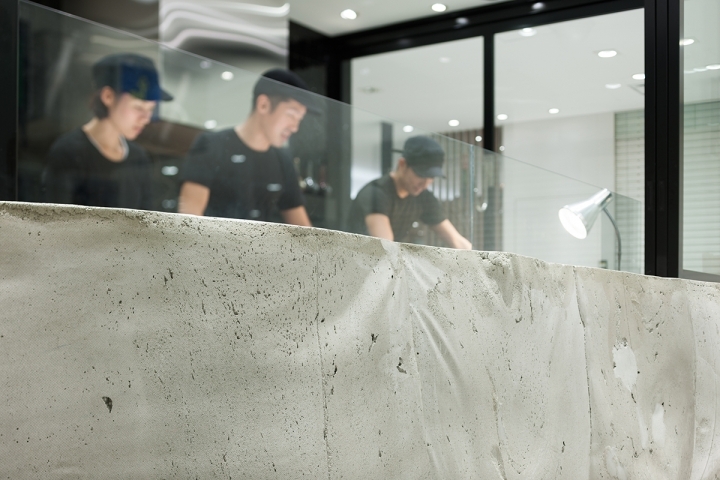 We used fabric mold to cast concrete, and expressed softness, plasticity and warmness of the material. By touching and looking at this counter we want customers to recognize the original nature of the material. In the same way we want customers to fully enjoy the Papabubble magic by visually experiencing their intricate making process- and see how sugar magically turns into such beautiful candies.